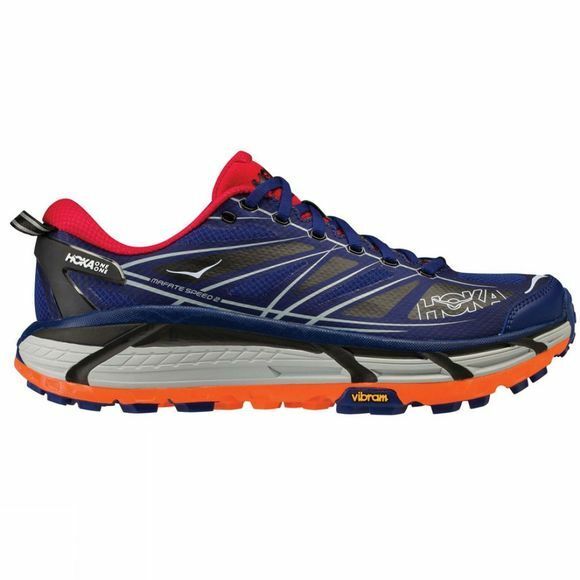 Mafate Speed 2: The MAFATE SPEED 2 was built to offer support and cushioning in technical terrain over any distance. This update features a deep Active Foot frame for support, and a tuned Meta-Rocker to facilitate smooth transitions through the gait cycle. The outsole utilizes deep flex grooves to adapt to a variety of terrain, and the 5mm Vibram Mega-Grip tread grips even the trickiest surfaces. 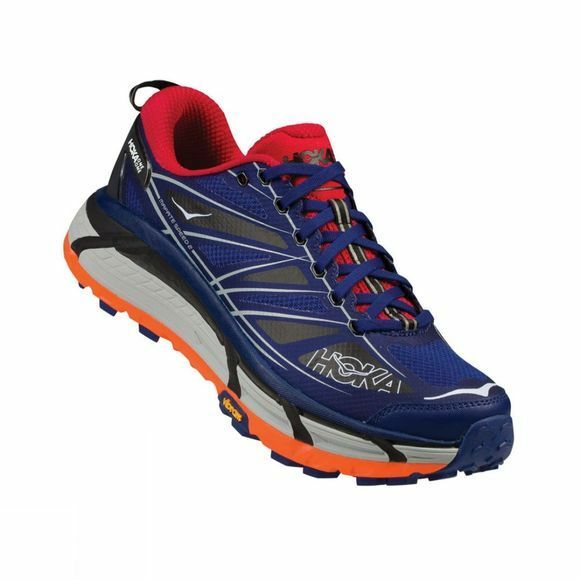 The MAFATE SPEED 2 is ready to perform mile after mile, however far your trail adventure takes you.